In October, the swap theme for my downline meeting was Christmas! It was so much fun swapping and getting different ideas for Christmas. It's great knowing so many talented people who can create such different projects using paper. 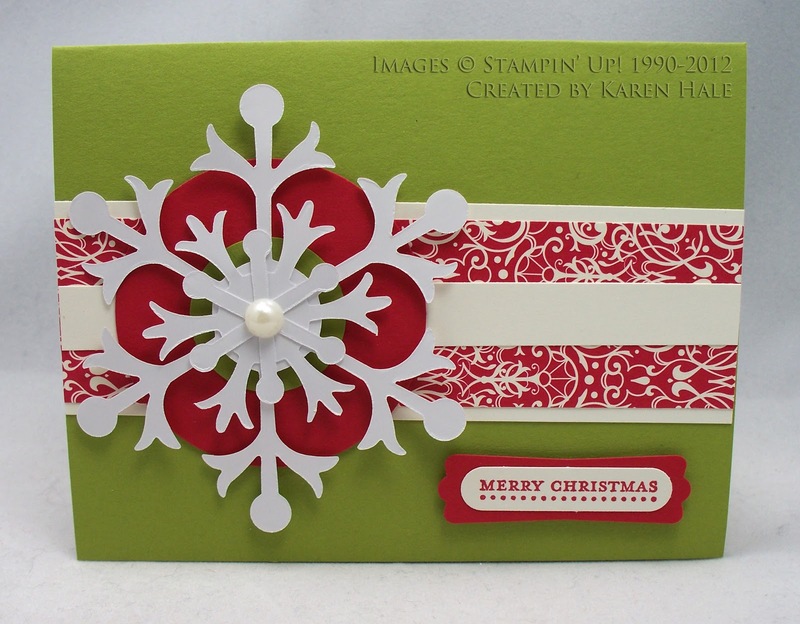 This first card was made by Karen Hale. 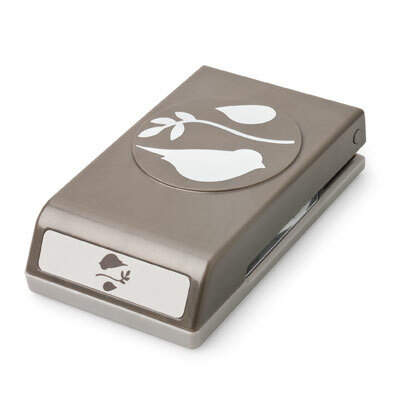 She used Stampin' Up! 's new Snow Flurry Bigz die (item 127813 $21.95). After seeing this snowflake used in several different ways, I decided to get it. I look forward to creating some fun projects to share with you in the future. 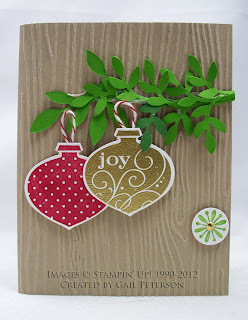 Gail Peterson made this card using the Delightful Decorations stamp set (127787 $16.95). She used the leaves from the bird builder punch (117191 $16.95) to make the branches. 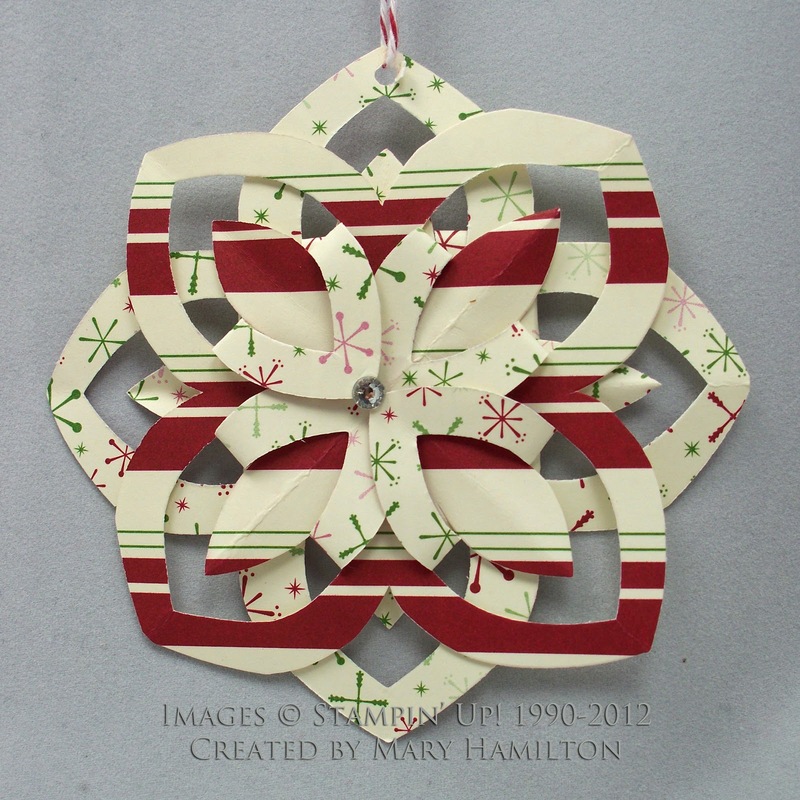 This is a snowflake made by Mary Hamilton. She does a great job of making projects using paper folding techniques. 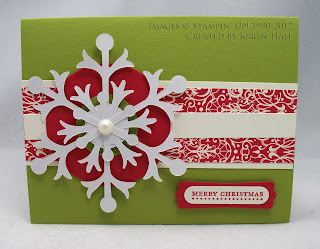 She's going to show us how to make this snowflake at our November demonstrator meeting. 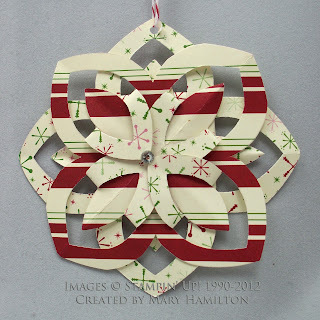 I'm looking forward to learning to make this snowflake. I'll share more of the swaps that I got this month in future posts.